The project will construct a Resource Centre for the youth and all other community members living in and around the district on a land owned by the local authorities in the area. 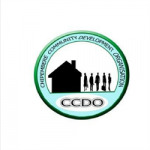 This will enable CCDO to expand on its health and educational programs already existing in the district. The centre will constitute a meeting point for the youth and the communities in accessing health information and services. The center will comprise, HIV Counseling and Testing facility, a multipurpose hall, some classrooms for Community Based Childcare Centre and Adult literacy; a library, two offices and toilets. The center will accommodate the literacy school for adults, a course of ICT, some recreational activities, one library and the didactic movies projection in which the target beneficiaries are 1500 persons. The youth center will be used to improve the management of local NGOs partners and thus increase their levels of sustainability. The project will benefit the population of 3,600 women 1,200 men and 2600 youth in the area. These will include those with disability and those affected and infected by HIV/AIDS. Children support activities seeks to improve lives of poor children through vocational skills for orphans and vulnerable youth (carpentry, computer maintenance, tailoring and hairdressing), educational support for 3500 children, functional Adult literacy training, community development activities ( sustainable agriculture; food aid to orphans and elderly people; health and hygiene trainings), environmental protection (energy saving stoves, biogas production; rain water harvesting; use of compressed soil bricks), and cartoons to the children of the rural locations, supporting to the local community through the distribution of mosquito nets and medicaments, organizing sport and drama activities for the youth, and income generation through servicing solar chargers to cover part of the costs of the organisation.